Oh la la! My favorite actor Derek Ramsay is indeed moving to TV5 according to Bong Osorio, head of ABS-CBN Corporate Communications. Bong confirmed that Derek Ramsay has decided to transfer to TV5. It is said that TV5 offered Derek Ramsay an amount that was difficult for him to refuse. For months, ABS-CBN has exerted efforts to make him stay as a Kapamilya. 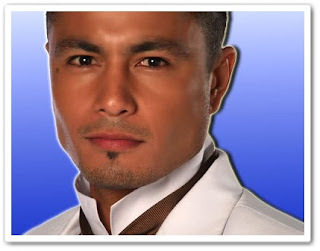 Derek Ramsay’s contract with ABS-CBN expired at the end of February 2012. Speculations about Ramsay’s transfer to TV5 have been reported in media for months, and the actor repeatedly denied that money is behind his decision to switch networks. Ramsay is the latest ABS-CBN star to move to the No. 3 network. Last year, actress-singer Sharon Cuneta announced her transfer to the Manuel Pangilinan-led media company after signing a reported P1-billion contract for five years. Other ABS-CBN celebrities who have moved to TV5 include Willie Revillame, Mariel Rodriguez and Aga Muhlach. Stars who have opted to stay and renew their contracts with ABS-CBN include Anne Curtis, Cristine Reyes and Toni Gonzaga. ABS-CBN was also able to sign-up stars from other networks, including Iza Calzado, Janice de Belen, Richard Gomez and Carmina Villaroel. Ramsay’s transfer to TV5 was first reported by columnist Shirley Matias-Pizarro and published at the Manila Bulletin on Sunday. Quoting unnamed sources, Pizarro said Ramsay will maintain his contract with Star Cinema to do movies this year and the next, although ABS-CBN's statement did not mention this. Ramsay’s latest movie, the digital film “Corazon: Ang Unang Aswang,” was a surprise hit and is now on its third week of theatrical release. He also starred in two of the biggest movies last year – “The Unkabogable Praybeyt Benjamin” with Vice Ganda and “No Other Woman” with Anne Curtis and Cristine Reyes. Ramsay joined the Star Magic concert in Hawaii last Saturday. On Monday, Ramsay said on his official Twitter account that he is taking a one-week break in Australia. “Be safe, babe! Gonna miss you,” he told girlfriend, ABS-CBN actress Angelica Panganiban, via Twitter. As of posting, Ramsay has not mentioned anything about his transfer to TV5 on his Twitter account.